* Do you want to add Control Accessories? No. I only want the PTAC unit with manual control panel. * Would you like shipping insurance? Packaged Terminal Air Conditioners (Commonly known as PTAC) are ideal for application in hotels, motels and apartments, where the environment of a single zone, with an outside wall needs to be controlled. As the name implies, a single package contains all the components of an air-cooled (and often heated) refrigeration and air-handling system. The entire package is self contained. PTAC’s are designed for through-the-wall installation, with decorative outdoor grilles. PTAC units are also available with various heating options (Electrical or Heat-Pump). Since the heat-pump ambient temperature (15 degrees Fahrenheit) may provide certain limitations in many climates, the most popular models are equipped with electric heat. Ramsond PTAC systems are easy and quick to install. They operate quietly. They are versatile and efficient and can be installed in variety of zones. 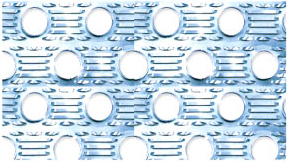 They are integrated with the most reliable components available in the market. As such, they are backed by one of the best warranties in market. They are far more advanced than conventional air conditioning systems. Ramsond PTAC systems are not only sleek and stylish, but are super efficient and economical. For these and other reasons, Ramsond PTAC units have become the preferred choice of many HVAC professionals worldwide. The microprocessor multifunction digital control panel, standard on all RAMSOND PTAC systems, combines reliable functionality that is perfectly matched with the stylish design of the unit. Quality is never compromised. Only the best quality and first-rate components, such as Toshiba compressors, are used in Ramsond products. The latest design adopts the air flow blades in the shape of saw teeth, which greatly reduces the vibration noises at the end of the vortex, ensuring a quiet operation of the unit. Enlarges the heat dissipation surface area; enhancing the efficiency and making the unit more compact in size. 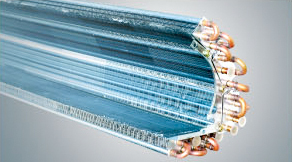 Enables a much faster refrigerant flow, increasing the heat exchange efficiency by 30-50% over the traditional smooth copper tubing. Blue colored hydrophilic aluminum foil in indoor unit stays free of water contamination, enhancing heat exchange efficiency. 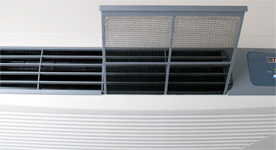 Gray colored anti-mold dust/particle filters in the front panel cover provide for fresher air circulation. They are removable and washable. The PTAC unit's front digital control panel, the wireless remote and the multifunction thermostat can be used to control the operation of each PTAC system. 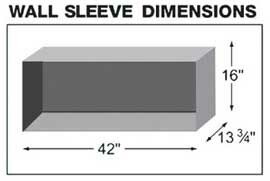 Ramsond PTAC units are sized according the most commonly used industry standard (42" Width, 16" Height). 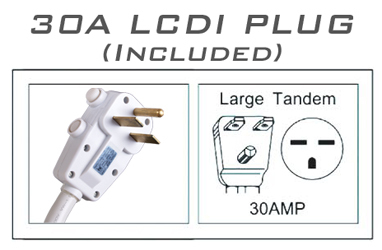 They are also equipped with 30 Amp LCDI plug. 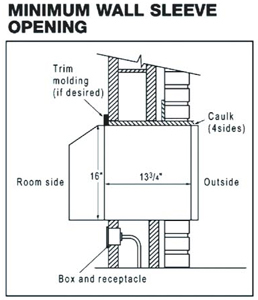 Click here to se the complete installation guide. 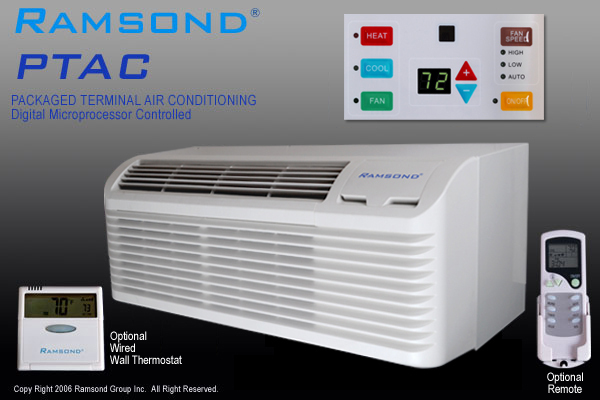 You can purchase your Ramsond Air Conditioning System here. When you purchase your Ramsond air conditioning system here, you can rest assured that you will receive a BRAND NEW (Not refurbished or reconditioned) System. We do NOT sell used, refurbished or reconditioned systems. Your order will be immediately processed and shipped from one of our warehousing facilities in the US (or Canada for our Canadian customers). Most orders are shipped within 1 business day. You will also have the peace of mind of knowing that capable technicians and support group will be available to provide after-sale support.